Rainforests are an essential part of the living systems of planet Earth, and are crucial for the functioning of the ecosystem, the rainwater cycle, biodiversity, and for clean oxygen. The Amazon is the world’s largest rainforest and extends 2.5 million miles, making it bigger in area than the United States. 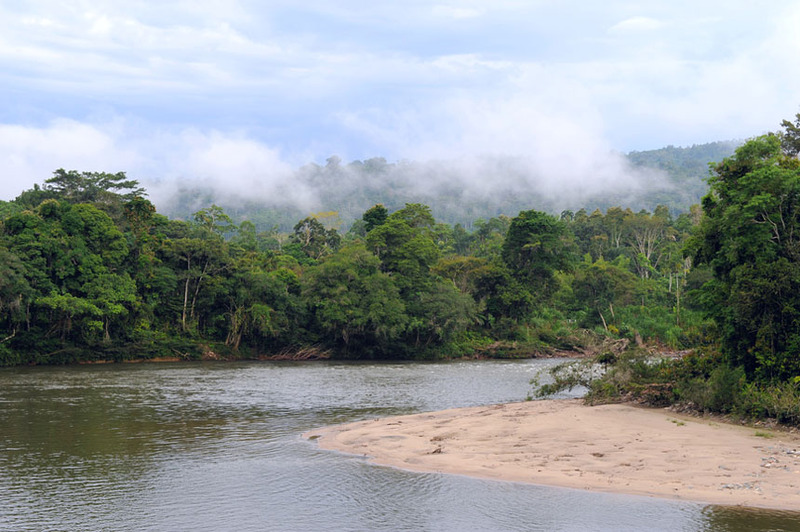 The Amazon is often associated with Brazil, but the rainforest spreads its canopy over nine countries in total; Brazil, Peru, Columbia, Venezuela, Ecuador, Bolivia, Guyana, Guiana, and Suriname. The Amazon Rainforest is known as the “lungs of the planet,” and this is not just a phrase, it is quite literal. Around 20% of the oxygen in our atmosphere comes from the rainforest, where the tress purify the air, highlighting just one of the reasons why its preservation is so important. The biodiversity in the Amazon is second to none, and the millions of years of uninterrupted evolution have lead to it being one of the most interesting and naturally superb areas of the world. Whether an avid birdwatcher, plant specialist, or looking to spot a rare mammal, the Amazon has the lot. Over half of the 10 million species of plants, animals, and insects in the world live in the rainforest! Forming the life-stream of the Amazon rainforest is the Amazon river, which contains a huge 16% of all of the world’s river water, and is fed by 1100 tributaries. The Amazon Rainforest is home to around 400-500 indigenous Amazonian Indian tribes. Although documentaries may have given many people a glimpse at how these tribes live, there is still much to be learned, and some of the fascinating tribal societies remain elusive. It is believed that up to 50 tribes have no contact with the outside world, and living closely with nature in the jungle, they are perhaps the most authentic tribal societies on Earth. The tribes vary in size and number of members. Some of the smaller tribes such as the Kanoe and Akuntsu have as few as 30 members. The largest tribe to inhabit the Amazon, living in North Brazil, is the Yanomani Tribe, which boasts a 20,000 strong membership. Overall there are around 200,000 natives in the Amazon today. This is not a large number when compared to the estimated 10 million tribesman who inhabited the land 500 years ago. The rainforests are extremely resourceful places and are full of medicinal alkaloid plants; 25% of Western medicine derives from Amazonian plants, and while this shows that science has managed to utilize it to some extent, 99% of plants remain untested. Tribes use many more plants than we use currently, and the potential of the medicinal power has only been touched upon gently so far. Plants have even been found that fight against cancer. 70% of all plants in the world that have this quality can be found in the Amazon. Medicine is not the only resource, and at least 80% of the modern diet we know today began in the rainforest, in nature. Many different fruits, vegetables, nuts, spices, sugar, and coffee all came from the Amazon. Despite this there is much more food on offer that is enjoyed by people of Tribes, and that we do not eat. Of the 3000 fruits available in the Amazon the Western world eats only 200 types. Sadly, the rainforest has been under attack for 100 years now, and the current rate in which it is being lost is frightening. The Amazon used to cover 14% of the land surface of the Earth; this has been reduced by over half to 6%. The timber industry is largely to blame for the deforestation; the short-sited greed of multi-national corporations and governments who allow the most important ecosystem on the planet to be slaughtered in the name of profit. The trees are cut down for timber, and then the space is often filled with cattle ranches as an extra earner. The rate at which the rainforest is currently being destroyed is the fastest it has ever been at around 1.5 acres a second. 137 species of plants and animals are being wiped out every day as industries hack away at the life contained within the rainforest. If the rate continues the Amazon rainforest could be completely wiped out in 40 or 50 years. I hope you have enjoyed the range of facts about the Amazon Rainforest, one of the most fascinating, and vital natural areas on the planet. It is important that we fight to protect the rainforest, which is essential for our survival on this planet. The biodiversity is beautiful and should be respected. Right now the Amazon is still an authentic and wonderfully natural place to visit, and is brimming with life. If something doesn’t change in the irresponsible manner in which timber companies and governments view the rainforest then future generations may not get the opportunity to know the Amazon for what it is. For now at least, the Amazon is still one of the most awe-inspiring places on the planet. Gateway Getaway Copyright © 2019.